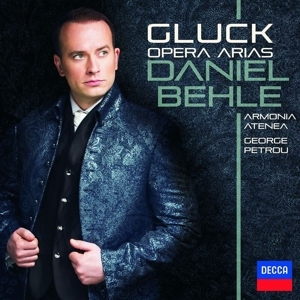 Daniel Behle is one of the most versatile German tenors and is equally successful in the concert, lied and opera genres. His extensive repertoire ranges from Baroque masterpieces to Classical and Romantic works to compositions of the 20th and 21st centuries. In April 2014 he made his acclaimed debut in the role of Matteo in Richard Strauss’s Arabella at the Salzburg Easter Festival under Christian Thielemann. He expands his Strauss repertoire in autumn 2014 with the role of Henry Morosus in Die schweigsame Frau. He appears as Oronte in a new production of Handel’s Alcina (director: Pierre Audi, conductor: Christophe Rousset) at the Théâtre La Monnaie in Brussels in 2015, returns to Aix-en-Provence during the summer as Belmonte (Die Entführung aus dem Serail) and sings the role of Erik in a new production of Der fliegende Holländer at the Frankfurt Opera in the autumn, his first Wagner role. In autumn of 2016 Daniel Behle makes his debut at the Royal Opera House in Covent Garden as Ferrando in Così fan tutte. In spring 2016 he will have his debut as Flamand in Theater an der Wien, Vienna. Daniel Behle appears in concert with various ensembles, including the Staatskapelle Dresden, the Berlin Radio Symphony Orchestra, the Czech Philharmonic Orchestra, the Hamburg Symphony Orchestra and the Stuttgart Bach Academy, collaborating with such conductors as Christian Thielemann, Marek Janowski, Jiří Bělohlávek, Sebastian Weigle, Jeffrey Tate, Helmuth Rilling, Hans-Christoph Rademann and Kent Nagano. Daniel Behle fascinates his audiences as a lieder singer at such venues as the Schwetzingen Festival, the Schubertiade, the Prinzregenten Theater in Munich, the Cologne Philharmonie, Hamburg’s Laeiszhalle, the Beethoven House in Bonn, London’s Wigmore Hall and the Richard Strauss Festival in Garmisch-Partenkirchen. Music critic Helmut Mauró wrote, “Behle’s lieder recitals are already legendary” (Süddeutsche Zeitung, 10 August 2011). The artist has also made a name for himself as a composer. He gave the premiere of his Ringelnatz cycle last year at the Beethoven House in Bonn. An important milestone in his composing career is his arrangement of Schubert’s Winterreise for tenor and piano trio, which he performed for the first time with the Oliver Schnyder Trio at the Hirzenberg Festival in Switzerland in summer 2013. The recording will be released in winter 2014, followed by the British premiere of the work at Wigmore Hall in April 2015. 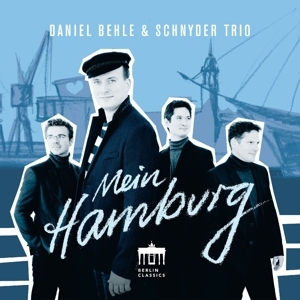 Daniel Behle will continue his fruitful collaboration with the Oliver Schnyder Trio next year with a homage to his native city of Hamburg. 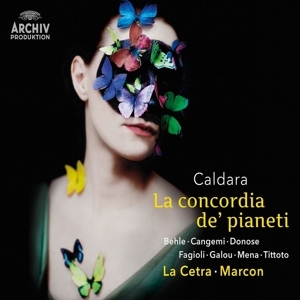 The recording of Leonardo Vinci’s Artaserse, in which Daniel Behle interpreted the role of the villain Artabano, received six awards and was nominated for two Grammy Awards in 2014. His lieder recordings and solo CDs, including Die schöne Müllerin, Dichterliebe, Strauss songs and Bach arias, have been praised by critics. His eagerly awaited debut album for Decca (Gluck Arias with Armonia Atenea under the baton of George Petrou) was released in June 2014.